Can a DUI Charge Be Reduced in Washington? Being charged with a DUI in Washington is a very serious offense. The penalties include jail time, fines and other consequences that can affect your personal and professional lives. When you’re convicted of DUI and you drive for a living, for example, you could lose your job and find it difficult to get a similar job anywhere else because of your record. A DUI conviction will make your auto insurance premiums skyrocket, and if you have a professional license as a civil engineer, lawyer, insurance broker, teacher, doctor or some other licensed position, that license could be suspended or revoked if you’re convicted of a DUI. Fortunately, with the right criminal defense attorney, you may be able to get your DUI charge reduced to a less serious offense, especially if no one was hurt and no property damage was involved. Your attorney will also be by your side as you move through the legal system, which can be intimidating, and he or she will be able to address your questions and concerns so you always understand what is happening in your case and don’t feel blindsided. Learn more about your potential options and more below. In cases where the DUI charge against you can’t be dismissed entirely, your attorney may be able to arrange for a deal in which you plead guilty to a lesser charge, like first-degree negligent driving, or another charge, such as reckless driving. A DUI in this state is a gross misdemeanor that carries a maximum jail sentence of 364 days and a maximum fine of $5,000, while negligent driving is a misdemeanor in the first degree and carries a maximum sentence of 90 days in jail and a maximum fine of $1,000. Additionally, negligent driving doesn’t result in a mandatory license suspension, unlike a DUI conviction. Reckless driving is a gross misdemeanor, just like a DUI, but it does not carry a mandatory minimum jail sentence and the driver’s license suspension only runs for 30 days, compared to the minimum 90-day suspension that comes with a DUI conviction. Another option for some DUI defendants is the deferred prosecution program. Under this, the DUI prosecution is deferred for five years. If you complete two years of treatment as directed by the court, stay sober and avoid being charged with any other crimes, the state drops the DUI after five years. However, if you violate any part of the program’s conditions or terms, it can trigger an instant and immediate DUI conviction. Not everyone is eligible for this program; you must be diagnosed by a professional as being alcohol or drug dependent. If your DUI charge isn’t dismissed and you can’t get a plea bargain or deferred prosecution or you don’t want to take it, you’re facing a year in prison and a $5,000 fine in the worst-case scenario. You will also have to have a ignition interlock device added to your car after your conviction if you want to drive. This device will not allow a car to start until the driver blows into a tube and has his or her blood alcohol levels tested. A second DUI conviction in this state includes even stiffer penalties, and once you reach a fifth conviction, the maximum jail sentence is five years and a fine of $10,000. Naturally, the best advice is to never drink and drive. Taking a taxi or using a ride sharing service after you’ve had too much to drink will ensure you and the other people around you remain safe. 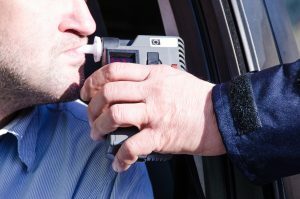 If you are arrested for a DUI in Washington, however, it’s usually best to comply with the officer’s request for your license, registration and proof of insurance, but don’t answer questions or volunteer extra information without speaking with a criminal defense attorney at Feldman & Lee to ensure that all of your legal rights are protected. The immense impact a DUI will have on your life in terms of money, your job and even your freedom can’t be overstated, so having experienced legal help on your side can make a big difference in the outcome of your case.